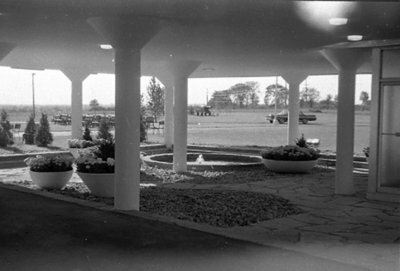 A black and white photograph of the fountain at 605 Rossland Road East. View is looking out from the building. 605 Rossland Road East, September 30, 1964, Brian Winter. Whitby Archives A2013_004_110A.